SCOTTSDALE, Ariz. — The Automotive Dealership Institute announced it has expanded its fleet of vehicles used to provide in-house dealership consultations throughout the country. These fully contained Ford step vans can be dispatched to dealerships in major metropolitan areas throughout the nation so ADI educators can conduct workshops in both the service and F&I departments of stores, officials explained. More than half of ADI's revenue is being generated by its personalized consulting work done in dealerships, and more business is expected as a result of the additional vehicles recently added to the fleet, executives said. "By providing in-house consulting and workshops at dealerships, we also pave the way for an impressive job placement record for our students graduating from our F&I and Service Advisor programs," said Alan Algan, ADI's chief executive officer and executive director. These services were added to ADI's offerings last year in response to demand from dealerships, officials said. Currently, more than a four-month waiting list is in place for consultations. Each van is fully equipped and staffed by a seasoned educator from ADI who provides the same high-level training available at the school's campus, ADI highlighted. "The response from dealerships has been tremendous," Algan said. "Those who are unable to send their employees to us for off-site training welcome the convenience of us coming to them." A majority of ADI's classroom students come from outside Arizona, executives reported. Students represent all states and the world, including Hong Kong, the United Kingdom, Australia and Canada. According to officials, potential students face a three-month waiting list to enroll in classes in Scottsdale. "International workshops are very profitable and fun," Algan said. "They also provide a platform for other business ventures, such as private labeling ESC and GAP products. 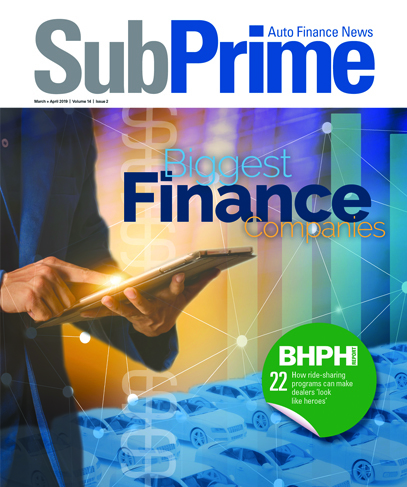 We have partnered with two major banks, private labeling several products to them; now they are automatically including these products with every auto loan they originate in their branches or through dealerships." For more information, call (877) 998-7200, or visit www.autodealerinstitute.com.